Aerial photo of building site for multi-storey car park. The Westmead Redevelopment team has looked back on the first six months of 2017, celebrating some milestones for the project. Project user groups (PUGs) transitioned from the schematic design to the detailed design phase. PUGs undertook planning work, preparing services, departments and teams for redeveloped areas, including detailed patient flow mapping. The redevelopment team undertook site visits to other hospitals and services to inform planning. A mock-up inpatient unit room was created for planning, simulations and consumer engagement. New helipad – the new helipad at The Children’s Hospital at Westmead became operational in May. Temporary linkway – the temporary linkway that connects Westmead Hospital to The Children’s Hospital at Westmead opened in March. NETS building – demolition of the neonatal and paediatric emergency transport service (NETS) building ran from February to June. The main works tender was awarded to Multiplex Constructions in March 2017. Multiplex arrived on site on 1 July, 2017. Early works for the new central acute services building have started. Multi-storey car park – construction work finished in June 2017. Oval car park – the oval car park opened in January 2017, creating another 350 spaces for staff. New Road car park – a landscaped green space near the New Road car park was completed in February 2017. More than 30 per cent of clinical areas at Westmead Hospital will be refurbished between 2017 & 2022. Refurbishment areas include ambulatory care, gastroenterology, aged care, respiratory and intensive care unit. 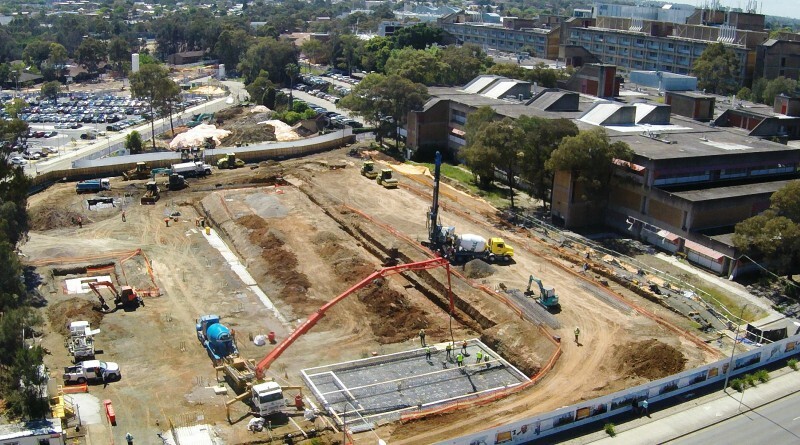 Construction kicked off in February for the Westmead Education & Conference Centre (WECC). B6 design development PUGs were completed in early May. The Kids Research Institute site was establihsed in June. 07 Feb, 2018, 1:39 pm Sia Anthopoulos Comments Off on Could water treat polycystic kidney disease?